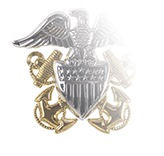 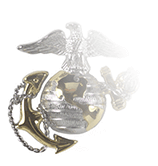 Officers and enlisted Sailors who have earned the Naval Parachutist are authorized to purchase this decorative buckle as an optional wear item. 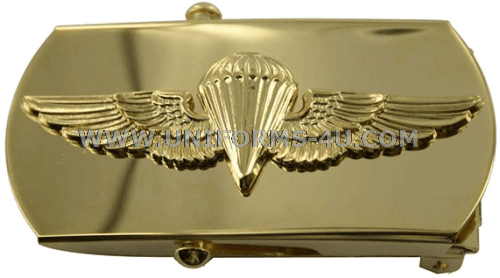 We have extensive information on Basic and Naval Parachutist qualification procedures on our Web page devoted to the two types of Parachutist breast insignia. 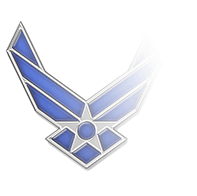 Parachutes had already been in use by the U.S. military for a couple of decades before the Navy began officially considering a designation and distinct insignia for Parachutists. 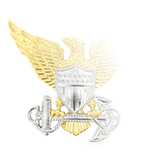 In a circular dated 31 March 1942, the ratings Parachutist and Student Parachutist were established, and it went on to state that Sailors who had earned one of those ratings would be able to permanently retain and wear “qualification badges.” In spite of this, the Secretary of the Navy did not authorize the creation of the insignia, and the subject was not broached again in uniform regulations until 1947, when it was announced that Navy Parachutists would wear the same insignia as their counterparts in the Marine Corps and Army. 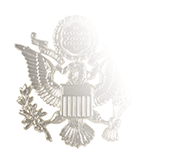 In 1963, this insignia was redesignated as the “Basic Parachutist Insignia” in order to differentiate it from a new, more advanced qualification of Navy and Marine Corps Parachutist, which was given the insignia you see on these buckles.